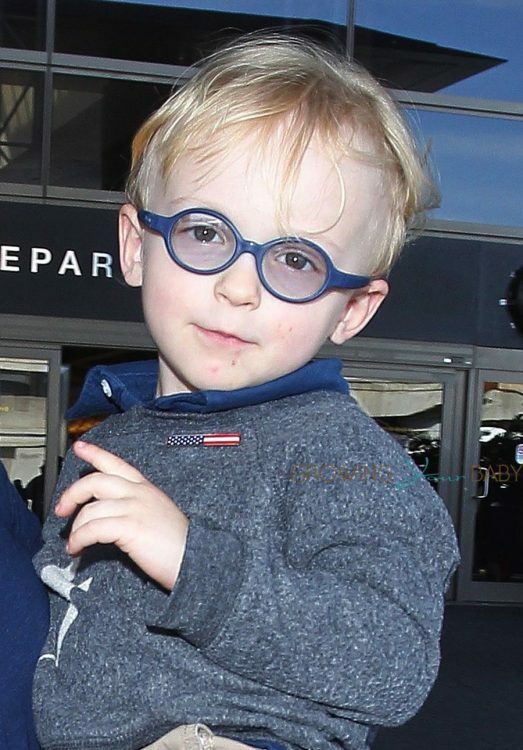 Actress Anna Faris and her son Jack were seen arriving on a flight at LAX airport in Los Angeles, California on April 21, 2016. Jack had a good time sticking his tongue out as they made their way to the car. Jack is the first, and only son for Anna and husband Chris Pratt. On a recent podcast with Olivia Munn, Anna talked about the possibility of having a second child. Now that Anna has wrapped production on her hit comedy series Mom, she will have more time to spend with her family.